Yuval Harari is a global intellectual. And the internationally bestselling author is worried: our brains are getting hacked. Artificial intelligence, biotechnology and ever-sophisticated algorithms are tapping into our values, habits, tastes, desires and the very thought patterns that define us — all to control how we shop, what we read, and whom we vote for. The notion of free will is defunct. And the grand project of liberalism, with its focus on the individual, is worn out. But in this exclusive interview with Paul Kennedy, he explains why he remains cautiously optimistic about humanity's future. **This episode originally aired September 5, 2018. In 2014, Yuval Harari became an international publishing sensation with his book about human prehistory and history: Sapiens. He did it again in 2016 with his second blockbuster book, Homo Deus. And now, having looked at our collective past and future, he turns in his third book — 21 Lessons for the 21st Century — to our collective present. ​Harari argues that the biggest threats to our species now are not ultranationalism or disease. They are nuclear war, climate change and the convergence of artificial intelligence with biotechnology. That threat, he tells Paul Kennedy, is inside us. He recounts being in Tokyo and finding a little hole in the wall restaurant to have dinner. And within five minutes, his partner's cell phone was getting hit with suggestions on other places to eat. It's more than irritating, he asserts. It's unnerving. And it raises the disquieting spectre that we do not have the agency of free will. We are too easily hacked — and we shouldn't even be surprised by the fact. We do not choose the family into which we're born, nor the place, nor our physical or mental attributes, nor even our desires. So does this mean we're hardwired to be controlled by corporate and governmental agencies? Not quite. We can use artificial intelligence to combat the intrusions of artificial intelligence. So any time a hack is about to occur, whether it's information is being collected while we're online, or traveling with our cell phones in hand, we could be notified that the hack is in progress, and have the option to block it. The level of international and corporate cooperation to use artificial intelligence, rather than be used by it, is extremely high, and maybe unprecedented. But it's not only possible, he concludes, it's absolutely crucial. The liberal belief in the feelings and free choices of individuals is neither natural nor ancient. For thousands of years, people believed that authority came from divine laws rather than from the human heart, and that we should therefore sanctify the word of God rather than human liberty… Soon authority might shift again -- from humans to algorithms. Just as divine authority was legitimized by mythologies, and human authority was justified by the liberal story, so the coming technological revolution might establish the authority of Big Data algorithms, while undermining the very idea of individual freedom. The people we fight most often are our own family members. Identity is defined by conflicts and dilemmas more than by agreements. What does it mean to be European in 2018? It doesn't mean to have white skin, to believe in Jesus Christ, or to uphold liberty… In their conflicts and dilemmas, twenty-first-century Europeans are different from their ancestors in 1618 and 1940, but are increasingly similar to their Chinese and Indian trade partners. Whatever changes await us in the future, they are likely to involve a fraternal struggle within a single civilisation rather than a clash between alien civilisations. Whenever politicians start talking in mystical terms, beware… Be particularly careful about the following four words: sacrifice, eternity, purity, redemption. If you hear any of these, sound the alarm. And if you happen to live in a country whose leader routinely says things like 'Their sacrifice will redeem the purity of our eternal nation' — know that you are in deep trouble. Sapiens: A Brief History of Humankind by Yuval Harari, published by Penguine Random House, 2016. Homo Deus: A Brief History of Tomorrow by Yuval Harari, published by Penguin Random House, 2017. 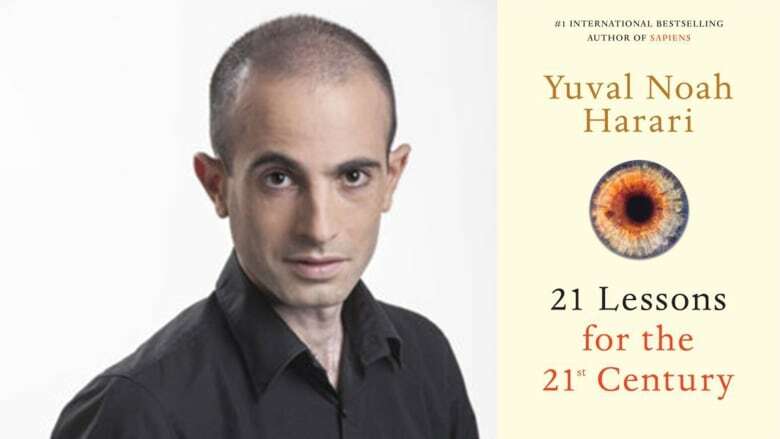 21 Lessons for the 21st Century by Yuval Harari, published by Penguin Random House, 2018. **This episode was produced by Greg Kelly.